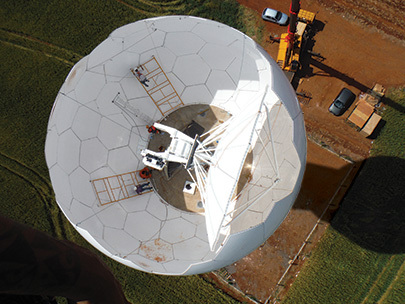 EEC can prepare, build and install complete radar systems or satellite ground stations anywhere in the world. From detailed site surveys to custom training for key personnel, our unmatched level of service will help you get the most value from your system. Somewhere in Brazil's immense Amazon Rain Forest, an EEC S-Band radar scans the horizon for signs of threatening weather-heading toward the cities. On a mountaintop in Bavaria, the data from an EEC C-Band radar system is merged with the data from Germany's 17 other EEC radars to create a complete picture of that country's current weather. At a regional airport in the USA's western Rocky Mountains, an EEC X-Band radar monitors a developing storm that could interfere with air traffic over three states. All around the world, wherever there are people and assets that need warning and protection from weather, there is an EEC radar on the job scanning the skies. How do you achieve that level of protection? It begins with selecting the correct EEC weather radar system – S-Band, C-Band, or X-Band – to fit the terrain, climate, and your individual specifications. Then, based on our 40-plus years of experience installing over 1000 radar systems, we will help you determine the best site for maximum coverage and performance. When we execute a detailed site survey, the final location is based on where the radar will get the best results – no matter how remote and inaccessible it may be. Then it's up to us to get the entire system to that site and properly installed. And that includes supplying power to the site, connecting all the equipment together, and testing everything to make sure it all operates up to specification. 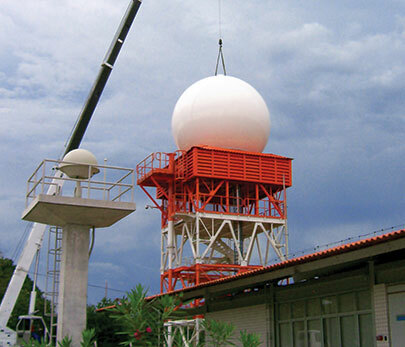 Every EEC weather radar system and satellite ground station provides the technology to generate very detailed and sophisticated information. Taking full advantage of that potential requires a commitment to learning how the system works, how to interpret its output, and how to keep it properly maintained. And to be truly effective, all of that information must be presented in the context of your specific geography, climate and weather challenges. To help you unlock the potential of your EEC radar and/or satellite ground station systems, our meteorologists will train your personnel either on-site or at our facility in Alabama. Training is tailored to your particular radar or satellite data system, your weather, and the knowledge level of your personnel: anything from the basics to advanced multi-week courses offered in partnership with the University of Oklahoma. 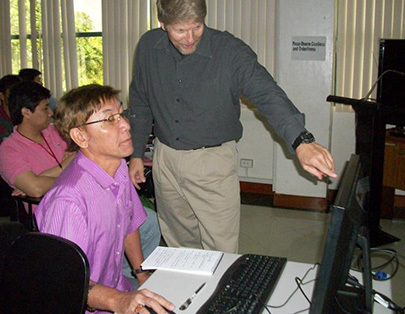 EEC's customized training provides you the knowledge and tools needed to maximize the value of your radar system or ground station, and protect your people and assets. EEC designs, develops and installs complete S-Band, C-Band, and X-Band weather radar systems, and complete satellite ground stations. Both are backed by the world's most extensive line of weather detecting hardware and software.